Rudolf Winter-Ebmer is Professor for labor economics at the Johannes Kepler University of Linz, Austria and Research Professor at the Institute for Advanced Studies (IHS) in Vienna. He is also affiliated with the Centre for Economic Policy Research in London and the Institute for the Future of Labor (IZA) in Bonn. His research interest is applied labor economics, in particular issues of immigration, ageing, wage determination, unemployment, discrimination and education economics. 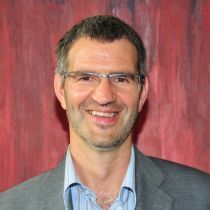 Since 2002 he is the Austrian country team leader for the “Survey on Health, Ageing and Retirement in Europe” (SHARE). Since 2008 he is the coordinator of the National Research Network “The Austrian Center for Labor Economics and the Analysis of the Welfare State”, which is bundling labor economics research in Austria. Since 2009 member of the German Academy of Sciences (Leopoldina). Rudolf joined CReAM as a Research Fellow in May 2014.